July 26th, 2017 By: GGT Category: 2017/07 release, Figure News. 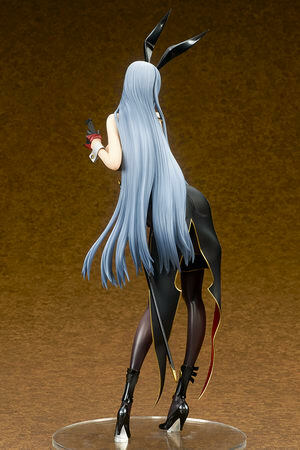 quesQ is going to release the Selvaria Bles ( セルベリア・ブレス ) Bunny Spy Ver. ( バニースパイVer.) 1/7 resin cast GK from the game/anime “Valkyria Chronicles Dual” ( 戦場のヴァルキュリ DUEL ). Will be released in Wonder Festival 2017 [Summer] on July 30, 2017. Around 310mm tall, 17,000 yen (taxed in). Kit is NOT pre-painted nor completed. Wonder Festival 2017 [Summer] exclusive. Here we have 11 exclusive figures/GK from quesQ for Wonder Festival 2017 [Summer]!!! For the GK, Kawakami Mai and Rory Mercury already have PVC figure version (Mai PVC, Rory PVC). Selvaria Bles, Ro500, Nagato, and Mustsu are comfirmed to have PVC figure version soon. But for some reasons there is no word for Kashima. Maybe she is not PVC figure ready yet? 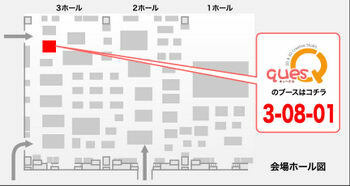 For those of you who want to get any of these figures/GK, the booth of quesQ in Wonder Festival 2017 [Summer] is 3-08-01. You will find them there.